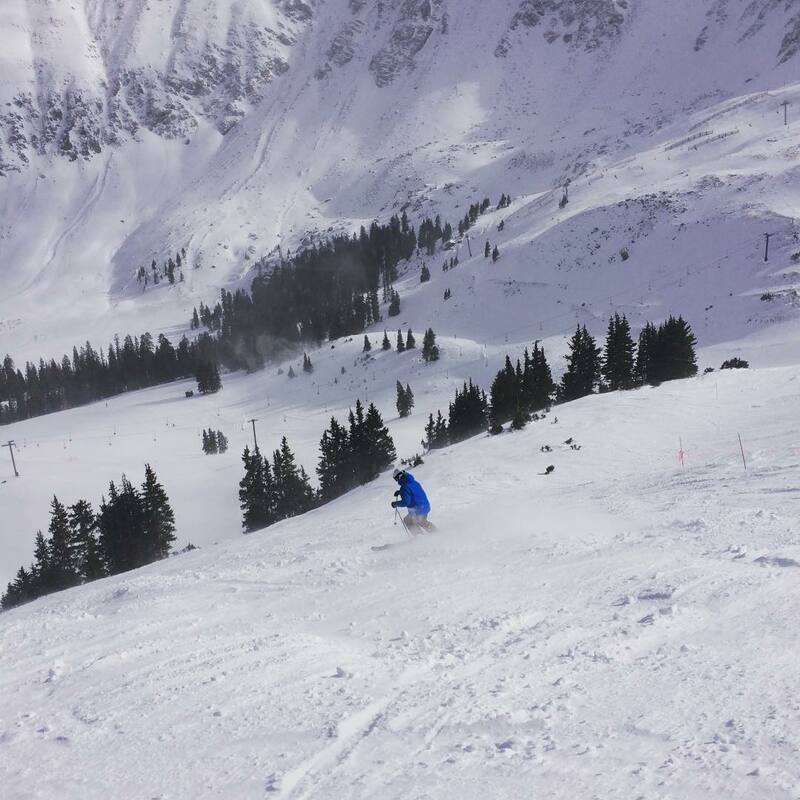 Arapahoe Basin Ski Area is ranked No. 78 in North America for its total snowfall during an average season. Beautiful day to test out the skiing. Overall, the upper mountain is in great shape. While there are still some early season conditions, it's carving like a dream. Oh, yeah, #nofilter. None needed today. A Basin is the place to ski early or late in the season, or on days that aren’t super cold. 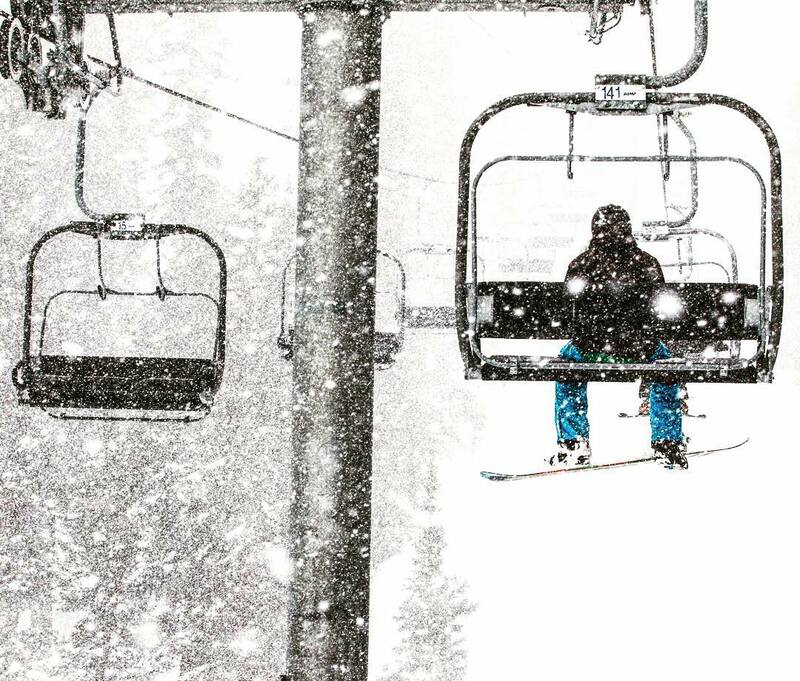 Given its lofty perch – the lifts top out above 12,400 feet – windy days in mid-January are pretty intolerable. 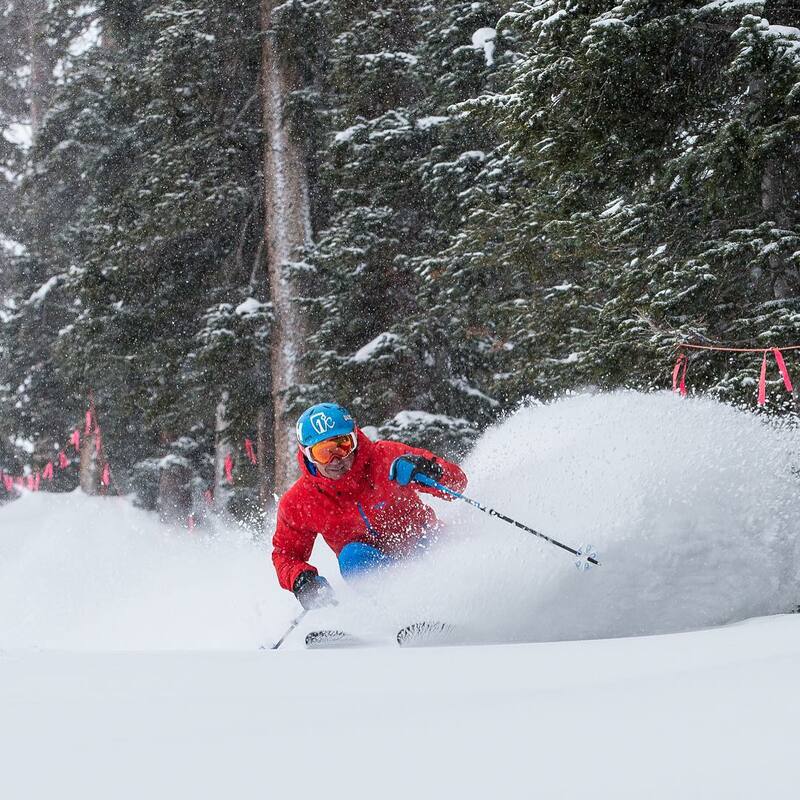 But when conditions are good, the mountain can rip. 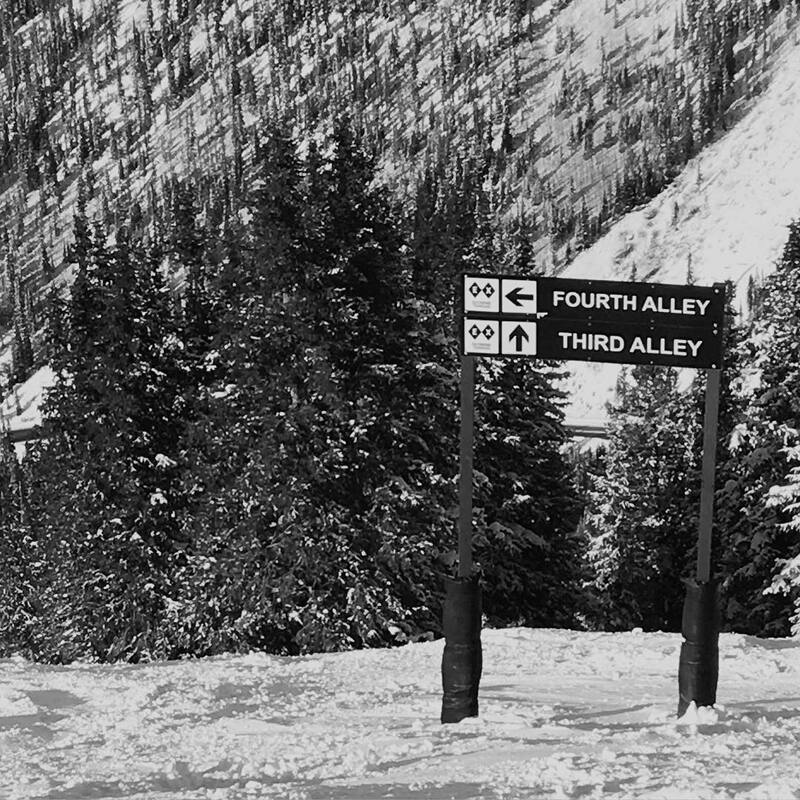 Experienced skiers have two basic options: head far skier’s left to Pallavicini or far right to the East Wall and the gnarly terrain that lies above. 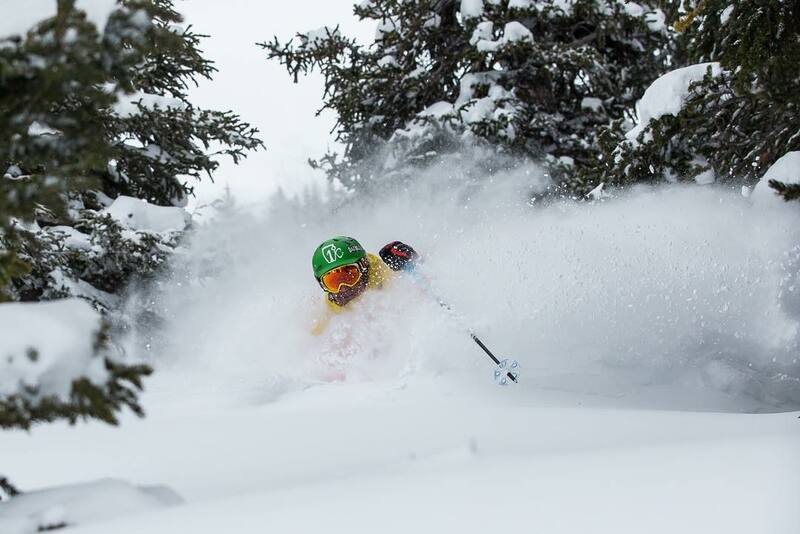 A powder day brings the skiing beneath Pallavicini to life. The fall lines iare clean and you get several hundred feet of sustained steep turns. Between snowfalls, it tends to get nicely bumped and is a good place to do your best Nelson Carmichael impression. Farther to skier’s left, there are steep glades that, while tight in spots, provide enough openings for a fun excursion. Those looking for a workout head to Montezuma Bowl and pass through the North Pole Hiking Gate or traverse along the East Wall. This section of the mountain gets a lot of wind and is very hit or miss, but each year provides hero shots for those diligent or lucky enough to be in the right place at the right time. The other big draw at A Basin is the impromptu party that springs to life on sunny weekends in April. The parking lot at the base fills with lawn chairs and locals alternate sunny runs with music and beers. The vibe at A Basin is decidedly anti-corporate. The lodge at the base, despite some recent updates, feels charmingly 1970s and still serves an honest breakfast at non-resort prices. Most visitors from out of town stay down the road in Keystone, Silverthorne or Frisco. 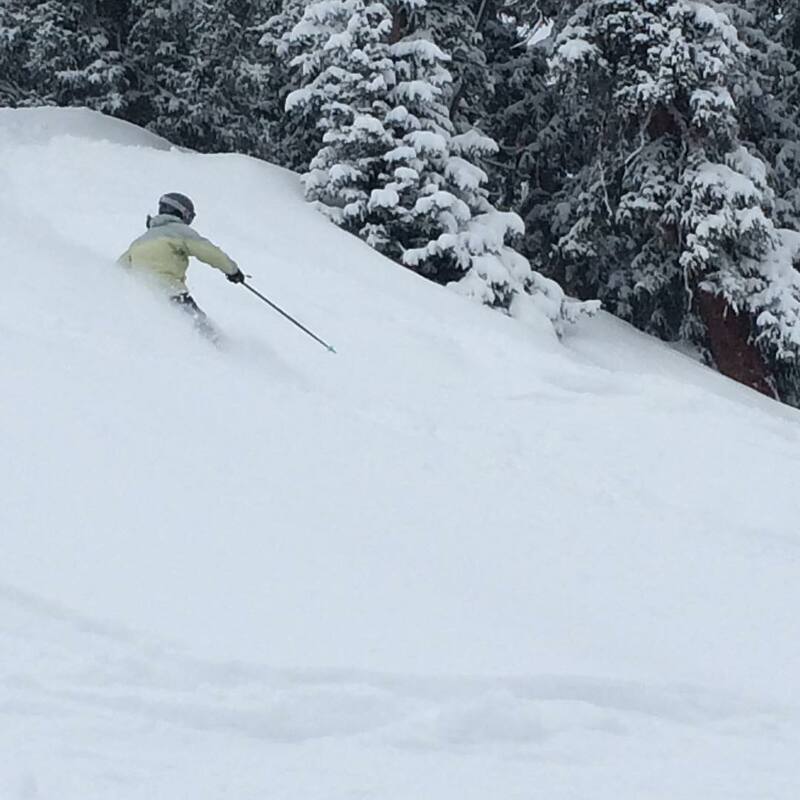 Arapahoe Basin’s snow record is average for Colorado but with some unique nuances. 10.8% of winter days with 6 inches or more of snow and 23% of winter months with 30 inches or less are middle of the pack for western destinations, while 6% of months with 90 inches or more is on the low side. Snow density as in most of Colorado is as light as it gets. 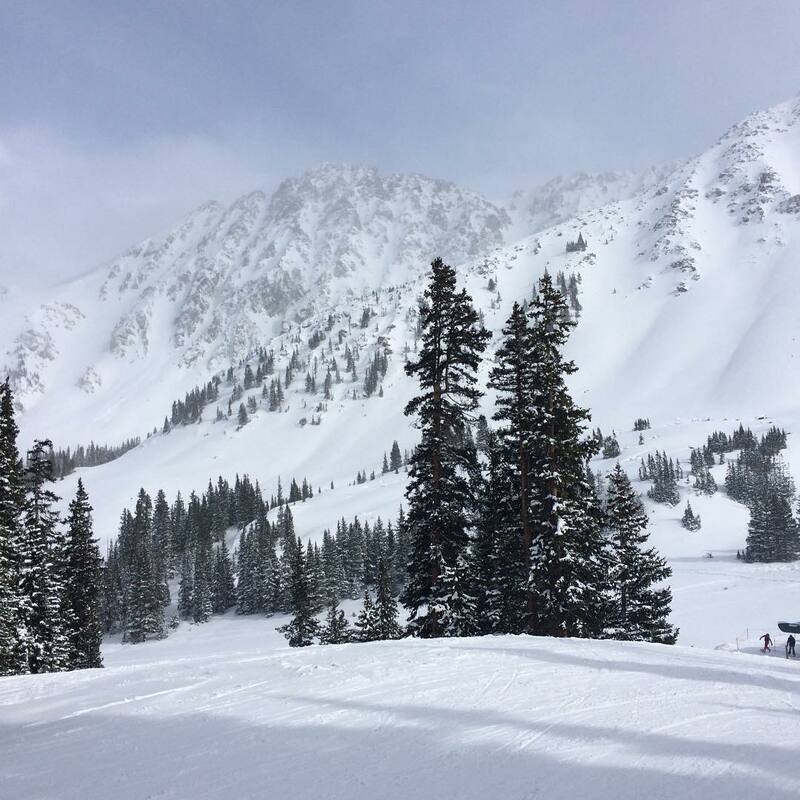 March and April are the highest snow months in A-Basin’s Continental Divide microclimate. 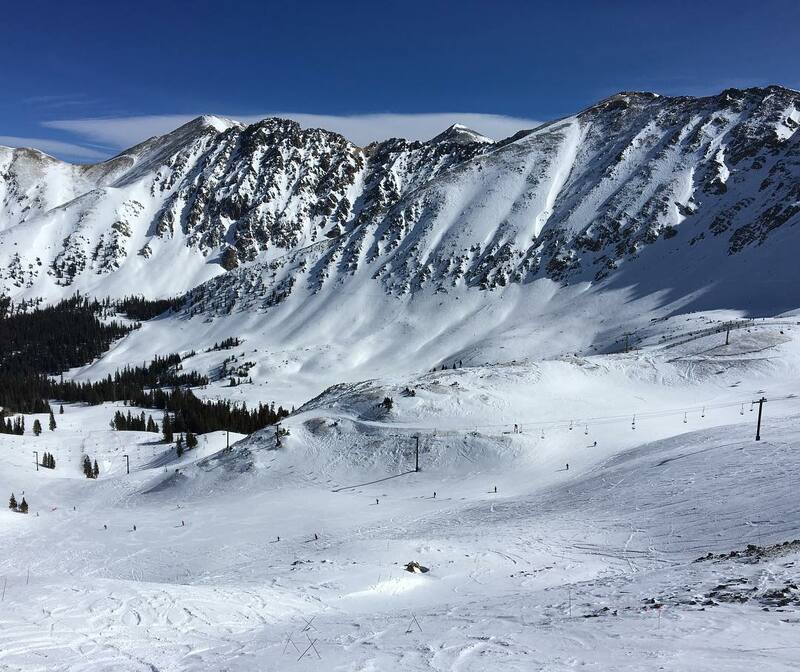 While A-Basin is often the first area in the country to open on snowmaking, coverage of its steep terrain with natural snow can be agonizingly slow. 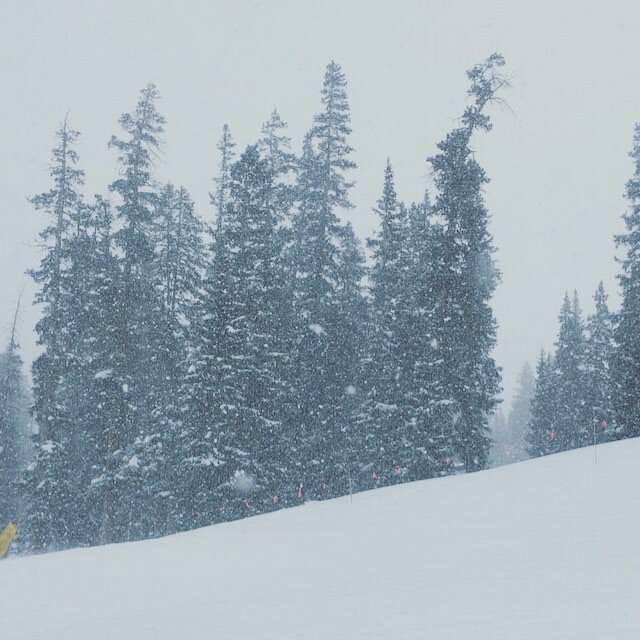 A-Basin averages 57% open at Christmas and is half open or less at Christmas in fully half of seasons. Full operation is often not attained until February. 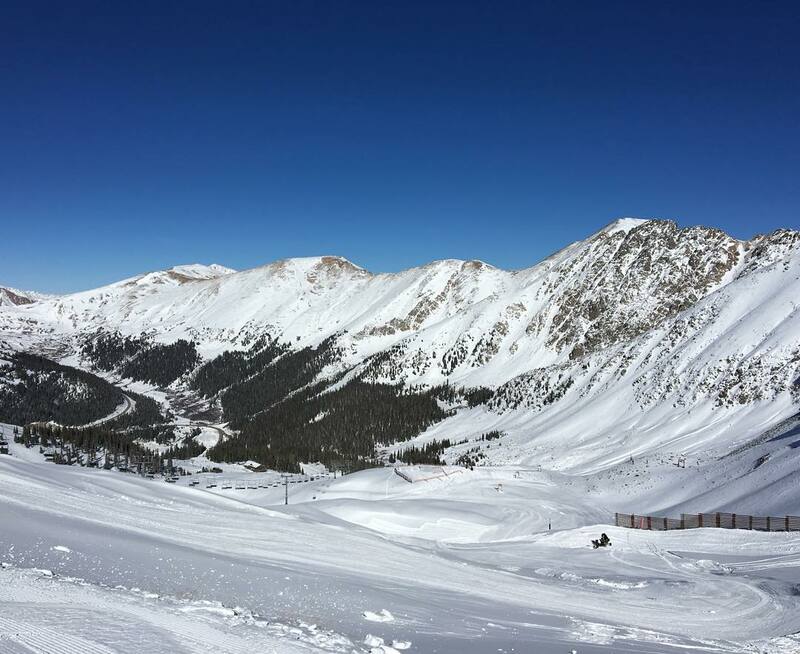 By contrast A-Basin’s snow preservation is the best in North America with base elevation of 10,800 feet and over half north facing terrain, much of it steep and shaded. 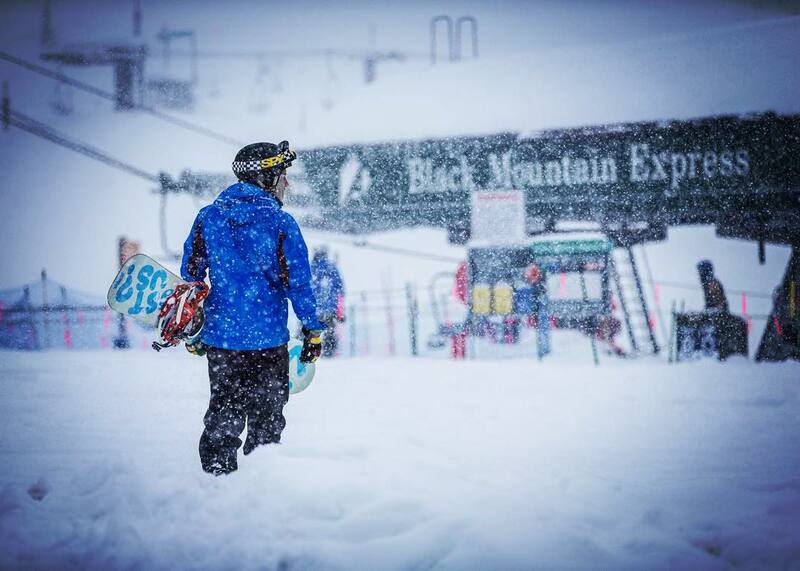 Consequently winter packed powder conditions usually prevail through April, and that microclimate also averages 29 inches of May snowfall. 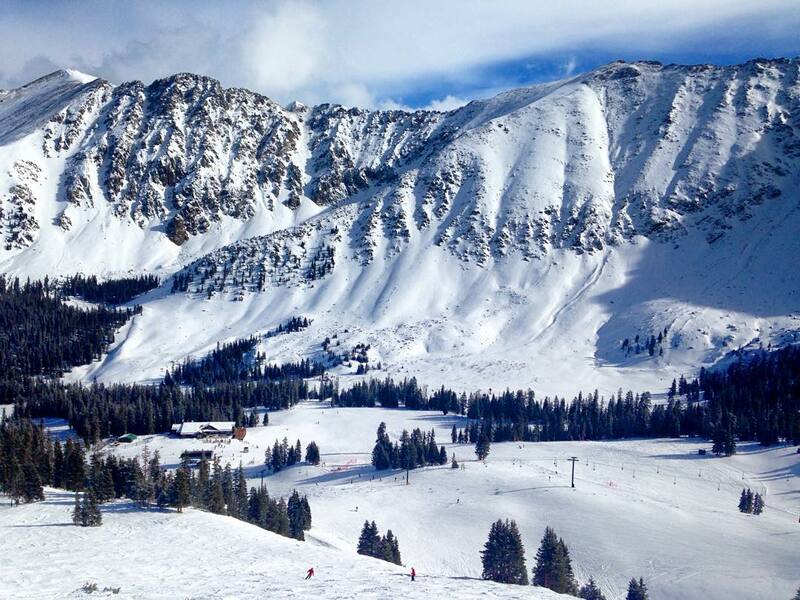 A-Basin’s average closing day is early June and an occasional big season can last until July.